We want your feedback so please don't forget to visit the official Warhawk DS forums here and let us know what you think! 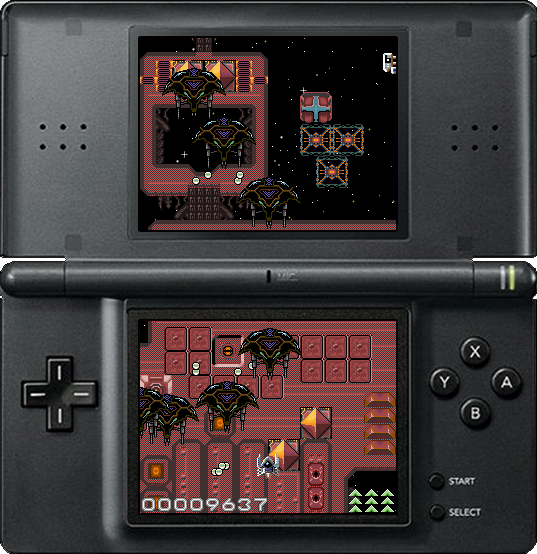 EFS Version - Just copy the included WarhawkDS.nds file to your backup card and play. FAT Version - Copy the Data folder included in the archive to the root of your sd card. Copy the WarhawkDS.nds to anywhere on your card. Recently Warhawk DS featured as Remake of the Month in the prestigious RetroGamer magazine which is a great honor for all involved. We also came 3rd in the R4 Revolution 2009 Top 10 DS Homebrew competition and can now proudly display the medal on our site. Thanks to the guys at http://www.r4revolutionds.co.uk/ for running the competition and giving us the opportunity to be involved.